As a Nigerian passport holder,your green passport will currently give you access to about 44 countries either without a visa at all or you will be issued a visa on arrival. 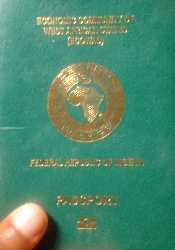 Your Nigerian green passport is one of the least powerful passports in the world. Singapore currently has the world’s most powerful passport,holders of Singapore passport can travel to 159 countries either without a visa at all,or can have one issued on arrival. The 2nd most powerful passport is Germany,it's citizens can travel to 158 countries without a visa,Sweden and South Korea passport is on the 3rd position,following closely is the USA,Malaysia, Ireland and Canada. They are over 40 countries where Nigerians can visit without a visa or visa on arrival,the catch here is that most of these countries are not powerful countries but mainly tourist locations. Nevertheless we shall take a look at the general visa requirements for Nigerian passport holders and also check out the current Nigeria visa free countries such as visa free countries in Europe,Asia,Africa and countries that give Nigerians visa on arrival. Nigerians willing to travel to one of these visa free countries might be required to obtain a work permit in other to be able to work in the country. Q: How Many Countries Are Visa Free For Nigerians? Currently as a Nigerian passport holder,you can travel to the following countries without a visa. Q: Countries That Issue Visa On Arrival To Nigerian Passport Holders? Q: Visa Free Countries In Europe For Nigerian Passport Holders? There are currently no visa free countries for Nigerian passport holders in Europe. Q: Visa Free Countries In Asia For Nigerian Passport Holders? There are currently no visa free countries for Nigerian passport holders in Asia. Q: Visa Free Countries In Africa For Nigerian Passport Holders? Listed below are visa free countries for Nigerian passport holders in Africa. Q: Visa Requirements For Nigerian Passport Holders? Visa requirements vary depending on the country a Nigerian passport holder is planning to travel to,however listed below is the general visa requirements for Nigerian passport holders.